5 Tips to Cut Down Morning Madness! One of my goals for this school year was to eliminate crazy, stressful mornings. Last year it seemed that an easier morning routine was out of reach. We were constantly running late every day. The important thing for our family when it comes to less stressful mornings is to develop a practical routine. I am not organized enough to neatly set everything up the night before. I wish I was and I am working towards it but I am not there yet. This hasn’t stopped us from having easier mornings this school year. A few, realistic tweaks to my schedule and we have been arriving to school on time every morning! I don’t like to make lunches the night before but I do gather the homework and other paperwork the night before and make sure the back packs are on their designated hooks in our entry way landing zone. Wake kids up at least an hour before you have to leave. My kids love to sleep in. I have far more issues with the kids being unable to fall asleep or waking up in the middle of the night than I EVER had with them waking up early. I always feel so bad when I hear parents lamenting the ungodly hour their children arise at each morning. I secretly thank the Good Lord that my kids never wake up before I do. I was afraid that it would be difficult to wake them for school every day at 6:30 am. After all, we slept in until 9:30 am all summer long. Besides the occasional, “My eyes won’t open” from my son or the simple, yet eloquent, “NOOOOOOO!” from my daughter, it hasn’t been so bad. I simply wake them up then carry them to the living room and dump them on the couch. I generally wake up half an hour before the kids wake up. During this time I have a cup of coffee, grab their clothes, and make lunches. I put their clothes on the arm of the sofa. After I dump the still half asleep child on the couch, I toss them their outfit for the day and tell them to get dressed. Breakfast seems to do the trick and they wake up the rest of the way! There is a NO TV or Electronics rule in the morning. I did allow it once when the children finished getting ready early and were waiting for me. NEVER AGAIN! It was so much harder to get them out the door so we decided that even if they were early, the tv would stay off. Make sure you know where your keys are before you go to bed! The one time we were close to tardy since school started was when I couldn’t find my keys! Our morning routine sets the tone for the day so I am deliberately shooting for as stress free a morning as possible. 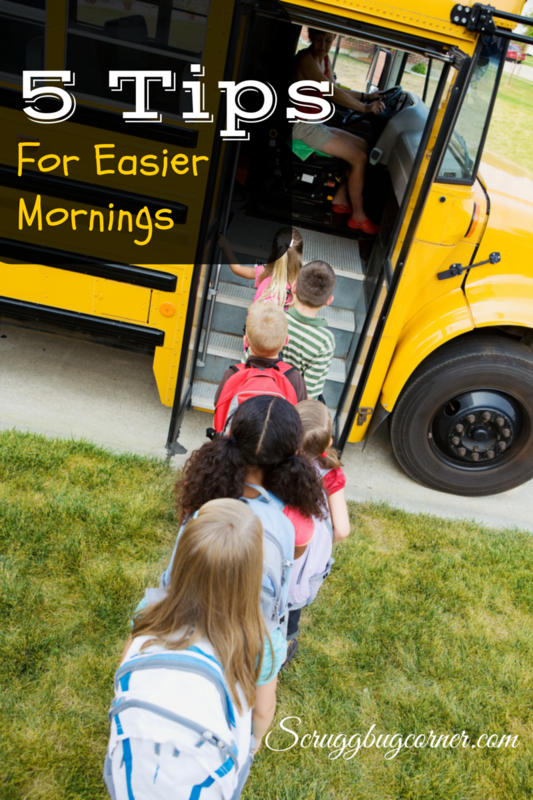 Easier mornings mean a more positive day and good marks for behavior! This is REALLY helpful! I need to start cutting tv STAT! The tv seems to drain my son’s ability get into the car and leave! It was so stressful he agreed that the tv should be left off in the mornings! These are awesome tips, Herchel! AwesomelyOZ recently posted…Happy Blirthday (Blog Birthday) To MeEeEe! That’s because we both have our minds on more important and creative things, Iva! My bf once told me that the reason I don’t prioritize organization is that I can remember where things are–even when it looks like a tornado hit my office–she can’t do that so organizing is more a priority for her. I spend so much time in my thoughts that sometimes I just don’t notice the time! The bonus tip is my favorite!!!!! My mom always made our lunch the night before and when I suggested we do it for Dylan my husband looked at me and said “ew, who does that.” Oh…ha..ha..but in my mom’s defense, there were five of us kids!!! I don’t like eating refrigerated sandwiches so I can’t make my kids do it. 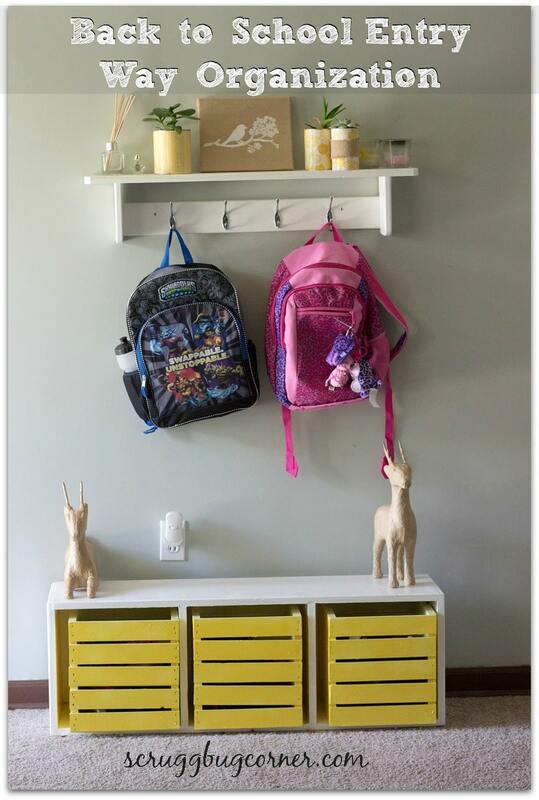 I was ambitious the first week of school and had all the fruit baggies made the night before but by the second week I was dropping into bed exhausted before I could do it. Our morning routine is pretty similar. I have the iPod set with three different alarms. One means “wake up,” one means “get to the table to breakfast,” and one means “time to leave the house!” So far they are working out pretty well. I have two alarms at night, too. One means, “get ready for bed” and one means “get IN bed.” The kids are like Pavlov’s dogs when those songs come on! That’s a great idea! I have about five alarms set. 1. Wake up, herchel. 2. You shouldn’t have pushed “snooze” 3. Really, wake up! 4. You pushed snooze again. 5. Now you are going to have to rush GET UP! Love these. I try to do these before any big day or school day! I especially love the keys tip. That one has caught me a few times!! Panic button!! LOL.